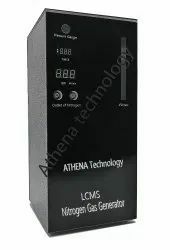 We are a leading Manufacturer of nitrogen, air & hydrogen gas generator, lc-ms-ms nitrogen gas generator, nitrogen gas plant, nitrogen generator for purging, hydrogen nitrogen and air combination gas generator and high purity nitrogen generator from Mumbai, India. 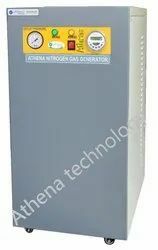 Athena N2 & H2 & Air generators achieve the perfect combination of nitrogen, hydrogen and Air. Compact structure and easy operation make it the ideal gas generator. This product can be applied to various gas chromatography and analysis instruments at home and abroad. 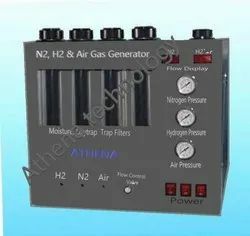 N2 & H2 & Air Generator has the characteristics of three-in-one, three-in-one, compact design and simple operation. It is an ideal laboratory instrument to replace traditional cylinder gas. Widely used in petroleum, chemical, pesticide, fertilizer, electricity, tobacco, drug testing, wine making, water quality testing, environmental monitoring, indoor environmental monitoring, disease control centres, universities and research institutes and other departments. · Start the switch to produce gas, safe and reliable. · Can meet with gas chromatographs at home and abroad. · It can replace traditional high pressure cylinders. N2, H2 and air are generated separately or together, intermittently or continuously. The purity of gas will not decay for long time use. · Easy to operate, switching power on to produce gas, regular output flow, completely automatic tracking equipment. · no corrosion toward instrument and supplies gas for 24 hours. · Generate hydrogen through world leading SPE (PEM) technology. No longer need to add lye. Without alkali reversion. 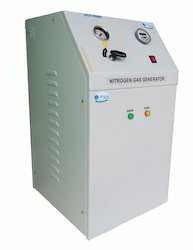 Nitrogen Generator produces a continuous flow of high purity Nitrogen at the selected pressure. Untreated air flows under pressure through the reaction towers containing carbon molecular sieves adsorber. Moisture, CO, CO2, THC, O2 and other unwanted components in the air are adsorbed, leaving Nitrogen Gas of required purity. During the desorption cycle, the trapped substances adsorbed are released again at low pressure and the adsorber is ready for next cycle. Flow range available from 10 LPM to 30 LPM and above. N2 Purifier to remove O2 and all other unwanted impurities to produces Nitrogen up to UHP grade. Valves: PLC Based Pneumatic 2 Way. Safety valve & gauges: safety valve, pressure gauges, electronic timer and solenoid valve provided. Standard fittings like Nuts, Ferrules, Union, Couplings, clamps, Hardware Hose Pipe, Cable etc. 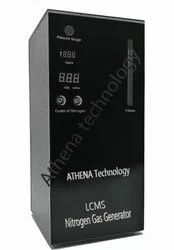 Nitrogen generators cover a wide Lab Gas Nitrogen Generators by ATHENA TECHNOLOGY range of flows and purities to exactly match the needs of applications including LCMS, GC, ICP, ELSD / CAD detector, Circular Dichroism and Sample Evaporation. The optional Generators incorporating an integrated oil-free compressor completely eliminate any reliance on a house compressed air supply giving complete security of supply. The technology used to procure a continuous flow of high purity nitrogen is pressure swing absorption ( PSA ). This technique uses one or two carbon molecular sieves beds (CMS) to eliminate oxygen and other contaminants in the ambient air selectively. 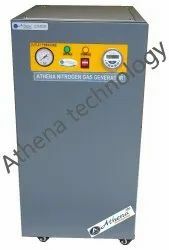 Standard fittings like Nuts, Ferrules, Union, Couplings, clamps, Hardware Hose Pipe, Cable etc.Nitrogen generators cover a wide Lab Gas Nitrogen Generators by ATHENA TECHNOLOGY range of flows and purities to exactly match the needs of applications including LCMS, GC, ICP, ELSD / CAD detector, Circular Dichroism and Sample Evaporation. The optional Generators incorporating an integrated oil-free compressor completely eliminate any reliance on a house compressed air supply giving complete security of supply. The technology used to procure a continuous flow of high purity nitrogen is pressure swing absorption ( PSA ). This technique uses one or two carbon molecular sieves beds (CMS) to eliminate oxygen and other contaminants in the ambient air selectively. N2 & H2 & Air generators achieve the perfect combination of nitrogen, hydrogen, and Air. Compact structure and easy operation make it the ideal gas generator. This product can be applied to various gas chromatography and analysis instruments at home and abroad. It can replace traditional high-pressure cylinders. N2, H2, and air are generated separately or together, intermittently or continuously. The purity of gas will not decay for long time use. Easy to operate, switching power on to produce gas, regular output flow, completely automatic tracking equipment. Generate nitrogen through world's leading Pressure Swing Adsorption (PSA) technology, which replaces the traditional electrolyte separation technology. It is safe and convenient to operate, has no corrosion toward instrument and supplies gas for 24 hours. Generate hydrogen through world-leading SPE (PEM) technology. No longer need to add the lye. Without alkali reversion. It's powered by the whole sealing silent air compressor. After purification, water, oil, dust, and impurities are removed. Through pressure stable system, pure and silent air is finally produced under stable pressure. Safety valve & gauges : safety valve, pressure gauges, electronic timer and solenoid valve provided. Standard fittings like Nuts, Ferrules, Union, Couplings, clamps, Hardware Hose Pipe, Cable etc. 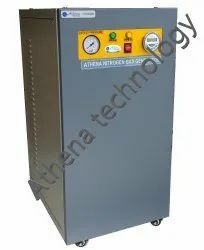 Nitrogen generators cover a wide Lab Gas Nitrogen Generators by ATHENA TECHNOLOGY range of flows and purities to exactly match the needs of applications including LCMS, GC, ICP, ELSD / CAD detector, Circular Dichroism and Sample Evaporation. The optional Generators incorporating an integrated oil free compressor completely eliminate any reliance on a house compressed air supply giving complete security of supply. The technology used to procure a continuous flow of high purity nitrogen is pressure swing absorption ( PSA ). This technique uses one or two carbon molecular sieves beds (CMS) to eliminate oxygen and other contaminants in the ambient air selectively. 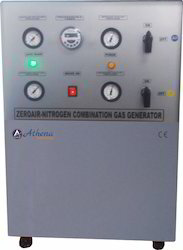 Nitrogen Gas Generator produces a continuous flow of high purity Nitrogen at selected pressure. Nitrogen Gas Generator produces a continuous flow of high purity Nitrogen at the selected pressure.